System error happened while installing the templates and registering the Wizard assembly in the Global Assembly Cache (GAC). This might be caused by permission issues. 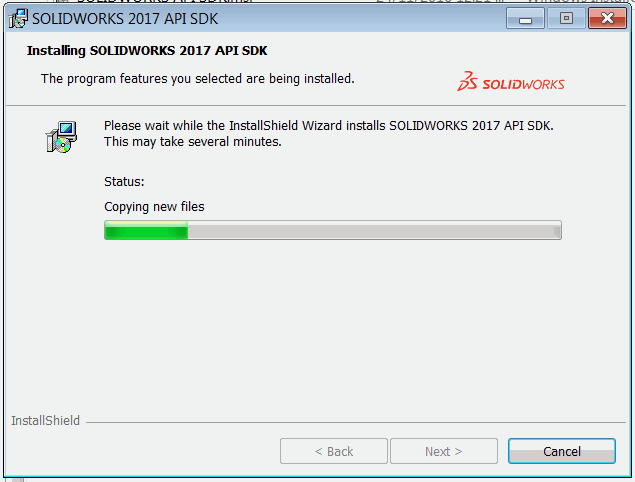 Locate SOLIDWORKS API SDK.msi file. Usually found in apisdk folder of installation DVD or SOLIDWORKS download package. 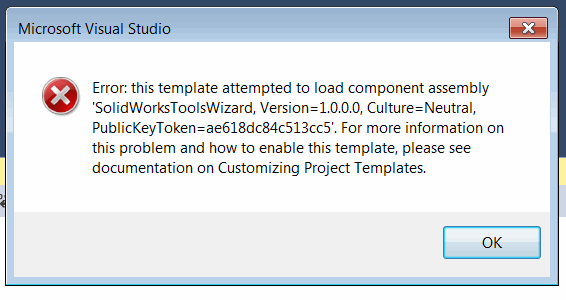 Find swvbaddin.zip for VB.NET template and swcsharpaddin.zip for C# template in the files of the unzipped folder. 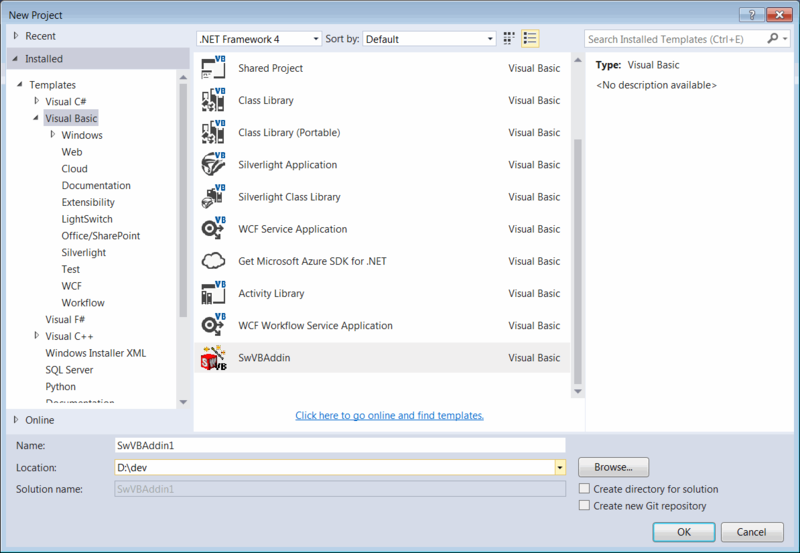 Open Visual Studio and select Tools->Options… menu command. Navigate to Projects and Solutions group. Copy the swvbaddin.zip file into the Visual Basic folder and swcsharpaddin.zip into the Visual C# folder. It is not needed to unzip these files. Start Visual Studio and create new project. 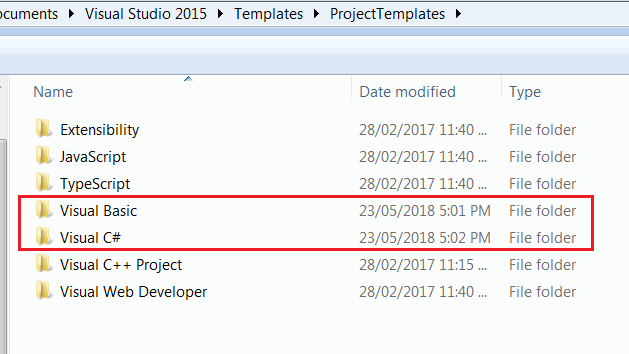 Now C# and VB.NET project templates are available for selection. Alternatively follow the How to: Install an Assembly into the Global Assembly Cache article on the guide of registering assembly in GAC.